Have you started to notice a thick layer of ice covering the inside of your freezer? Is the appliance no longer performing to the best of its ability? If you’ve answered yes to either of these questions, it may be time to defrost it. Below we look at why, when and how you should defrost your freezer. Failing to defrost a freezer will increase the layer of ice which builds up, making your appliance work harder yet less effectively. A large build up of ice inside your freezer is also likely to cost you more on your utility bills. A further pitfall of excessive build up of ice in your freezer is that you’ll have difficulty getting into the drawers, making it harder to get the food out, without damaging any components. If your freezer has a layer of ice which is 5mm thick or more, it’s time to defrost. But, before you start the process it’s important to make sure you have enough spare time, as defrosting the freezer isn’t a job which can be carried out in the time it takes the kettle to boil. b) Follow our simple steps. 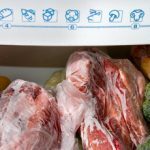 Before defrosting the freezer, take a minute to make sure you have a cool box to store your food in – although to make the job easier, it is always advisable to defrost it when there is little food, as this reduces the risk of food spoiling. Step 1: Switch off and unplug the freezer. It’s often advisable to move the freezer out into the middle of the room – this will also enable you to clean the coils and outside of the appliance whilst it is defrosting. Step 2: Open the door and allow the freezer to naturally defrost. Placing a bowl full of hot water in the middle of the freezer. The steam from the water will melt the ice. If you’re using this process, you’ll need to change the bowl every half-an-hour or so to keep the warm air flowing. If you have thick ice on the walls of your freezer, you can either chip this away using a freezer ice-scraper or help melt it by running a towel, dipped in warm water over the ice. As your freezer defrosts, take out the drawers and clean them using hot soapy water. We’d also recommend running a damp cloth over the door seal to remove any dirt which may be lurking in the crevices. By regularly defrosting your freezer, not only will you help prevent the unnecessary build up of ice, but you’ll also help keep your appliance running at its optimum performance for longer. 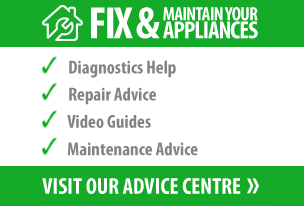 If you’re looking for further tips on how to maintain your freezer, visit the BuySpares blog.